My son, Caio, is diagnosed with Autism Spectrum Disorder. He was diagnosed a few months before his third birthday. He was nearly non-verbal, developmentally delayed in every aspect and suffered from sensory sensitivities that made daily living very challenging for him. The following year his father and I were divorced, and have co-parented Caio with his best interests at heart ever since. Caio attended daycare at Hudson Country Montessori and received Birth to Three services, for which I will be forever grateful. Caio’s team worked with us, and after weeks of 20 hours a week intervention we began to see Caio develop and improve, filling our hearts with hope for his future. In 2015, once he turned 3, he aged out of the program and we turned to the Danbury Public School System for his special education needs. He started to attend Cottage Street Mixed Peer program, and although the staff could not have been more caring, there was a considerable reduction of services provided to him compared to the Birth to Three programs. Caio went from receiving 20 hours of individual therapy and intervention for his autism a week, to only 7.47 hours of special education a week including individual sessions at Cottage Street. Caio started to plateau and eventually regressed in some areas. At age 4 Caio returned to Yale for his 2 year follow-up evaluation. They recommended 40 hours of intervention a week. We had the approval from the insurance company for 40 hours of treatment with autism ABA specialist but no way to deliver the hours unless they were also delivered in a school setting which was not possible at Cottage Street. His father and I decided that the best course of action for Caio was to be in a private school, where they would allow his autism interventionists to come in for the set amount of hours needed in order for the insurance to pay for his care. That school is Saint Joseph’s in Danbury, which has been a phenomenal community for our little one where has thrived academically and behaviorally. It’s important for me to share this with the public because it’s very reason why I became involved in the process of running for the Board of Education back in 2015. I wanted to be part of the process, not just a bystander. I wanted to actively work to improve our schools. To run for office is to step out in the public arena, to be open to scrutiny. Only those who have done it know what is like. Winning is not easy and depends on a variety of factors; many are out of our control. Losing is even harder, but there is a silver lining in the wisdom gained in the process. I welcome criticism and dialogue, since both are certain pathways to personal growth. While some people may disagree with my appointment to the Board of Education, even though the legal precedent is very clear, the right to voice their opposition is the beauty of our country. And I appreciate those who are able to do so without personal attacks. A few have chosen to attack my family, or my choices as a parent for what’s best for my child, in person and on social media. While it is their right to do so, I will only argue that is no way to prove the “higher moral ground, sense of fairness, respect for others, inclusion, and justice” they claim to hold and defend. I will not apologize for doing what’s best for my child, nor let it be in any way taken as a statement on what I think about public school education. Literally, the skills to write this very letter would not have been possible without a long list of Danbury public school teachers who believed in a little girl from Brazil, who didn’t speak a word of English when she arrived in this country nearly 25 years ago. My life is about my family, most importantly my child. All of my decisions focus on him, what’s best for him, what’s best for his future, and what kind of world I will leave for him. As to questions raised on whether or not I live in Danbury: I love our community and it is what is best for our family. Living with my parents, having their support and being able to help them with their medical needs, working in our family’s businesses, and volunteering in our community are the things that make me who I am. I am not going anywhere. Danbury is my home. I’ve been fortunate enough to find love and be able to start my life over with a wonderful partner who is equally committed to his community. This past November we got married, and made the difficult choice as two adults, that have learned with the experience of previous marriages, that living in the same household does not guarantee the success of our past relationships. But not giving up our passions, and all the work we have done to become rooted in our respective communities, could. That our love for each other transcends logistics, and that many couples face the same challenges, in much more stressful circumstances like military families for instance. I am proud to live, work, and raise our son in Danbury. It is my ultimate goal he will become a public school student. That he will proudly wear orange and blue and walk up and down the halls of Danbury High School, with his head held high, proud of everything about himself, confident that he is loved and cared for, and that he can do anything he puts his mind to. That is also my goal for EVERY child in our district. I hope to serve as a voice on the Board of Education for all parents and students, and share my passion for the high needs population in our schools, whether they are English Language Learners like I once was, or Special Needs children like my son. I thank you all who have sent me hundreds of messages of support, and have watched my journey from the beginning, and all 5,499 of you who voted for me this past election. I am truly humbled by the opportunity that was given to me this week to serve on the board with this appointment. Now the real work begins, focusing on what’s best for our students, families, educators and staff investing the future of our community. Emanuela Palmares is the Editor and Partner of Tribuna Newspaper, a biweekly publication in English, Portuguese, and Spanish and serves as Vice-President of The New American Dream Foundation, Inc.
A Brazilian-American immigrant raised in Danbury, Emanuela is a proud product of Danbury Public Schools, and began her service to the city she loves at the age of 15, when she helped the Danbury Public Library provide language services to the community. She has since worked with public and non-governmental organizations; helping Portuguese-speaking victims as a Domestic Violence Victim’s Advocate at the Women’s Center of Greater Danbury; making home visits working with children and families in the Danbury Head Start Program; serving on the Regional YMCA Board, the United Way of Northern Fairfield County Emerging Leaders Council, the Danbury Housing Partnership, and Danbury High School Governance Board. She is a member of the Danbury Age Well Community Council, of the Danbury Hospital Board of Directors, and the Greater Danbury Chamber of Commerce Women’s Business Council. In 2018 she was appointed to the Danbury Board of Education. She also holds what she refers to as “the most meaningful positions of all” – being a mother to her son, Caio, who has special needs, the proud daughter of Celia Bacelar and Genilson Palmares, her role models, and a partner to her husband JP Sredzinski. 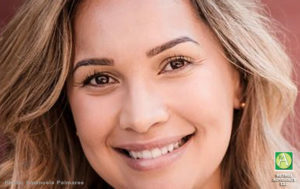 2015 Latinos United for Professional Advancement (LUPA) 50 Most Influential Latinos in Connecticut.